The University of Northern Iowa (UNI) is a four-year university that serves the higher education needs of more than 13,000 students in the Midwest. Sabin Hall, a UNI campus building originally constructed in 1914, needed to be renovated to meet the educational demands of the faculty and student body, and as part of this renovation, the UNI administrators pursued a path of designing and transforming Sabin Hall to become the first LEED® Silver certified facility on the UNI campus. The engineering firm Brooks Borg Skiles and the University of Northern Iowa worked together to create an architectural design solution for Sabin Hall that would ultimately earn the hall a LEED® Silver certification. 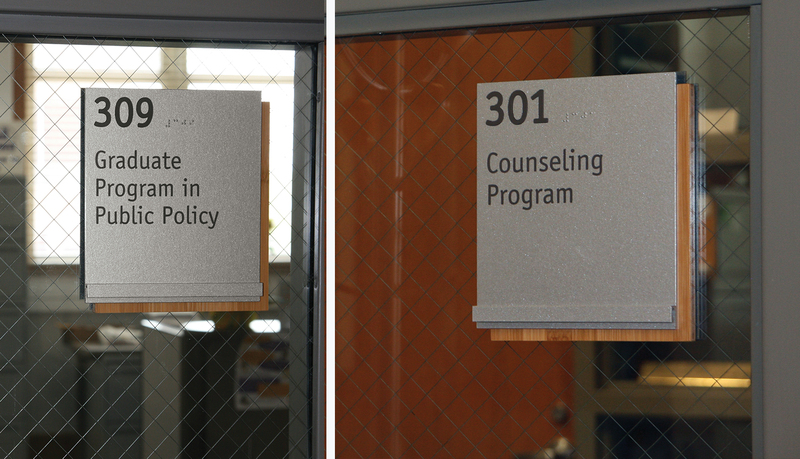 Once the renovation efforts were near completion, the UNI staff began to search for a signage solution that would complement the architectural design and meet the eco-friendly material and production standards that the university desired for Sabin Hall. 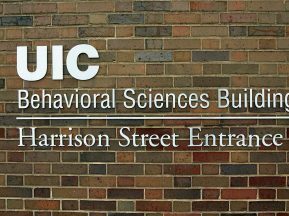 After reviewing a number of material options and sign system options offered by ASI, UNI eventually chose InTac™ Eco as the signage solution for Sabin Hall due to its GREENGUARD® certified fabrication process, which includes low VOC paint and UV digitally printed graphics. 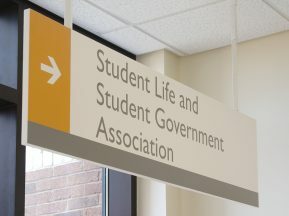 ASI designed an InTac™ Eco signage solution based on the signage design currently in use at other UNI facilities. The design made the most of InTac™ Eco’s Plant and Paper materials and it included modular functionality to ensure future panel and message changes would be easy to perform and result in minimal waste. During the fabrication process, any excess or leftover material was used as decorative elements on specified sign types. 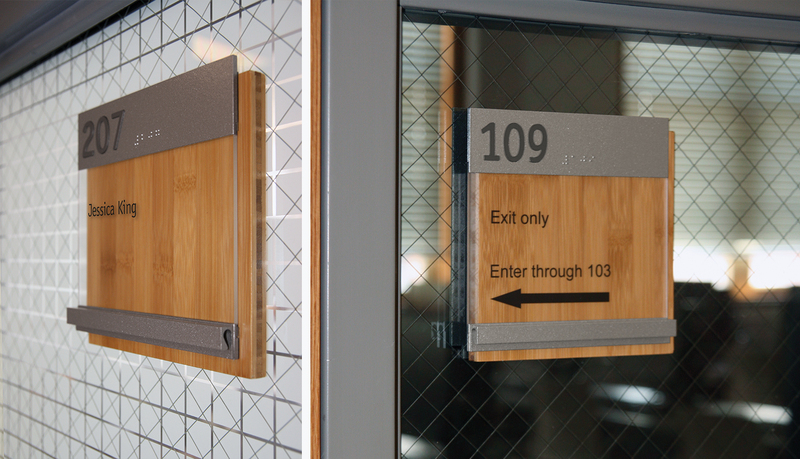 To help tie the signage solution into the architectural design, ASI used plyboo as a backer. 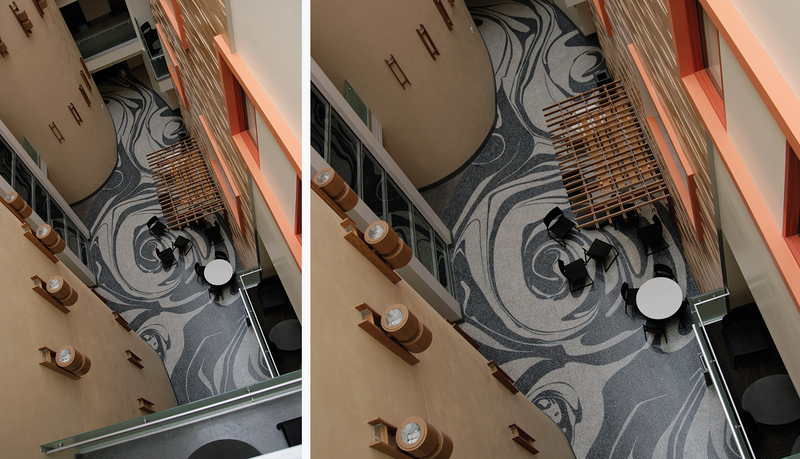 Plyboo material was used throughout Sabin Hall as a green architectural building material. The decision by the architect to re-open a light well at the center of the building was the genesis for the design decisions that followed. In addition to the symbolism associated with light and education, the atrium improves daylighting, orientation and wayfinding in the building. 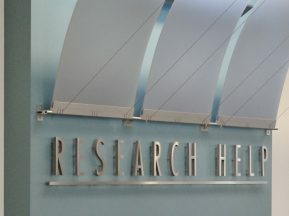 The primary wayfinding challenge ASI faced for Sabin Hall was determining how to effectively guide students throughout the facility from the multiple entrances available, while keeping the project under budget. 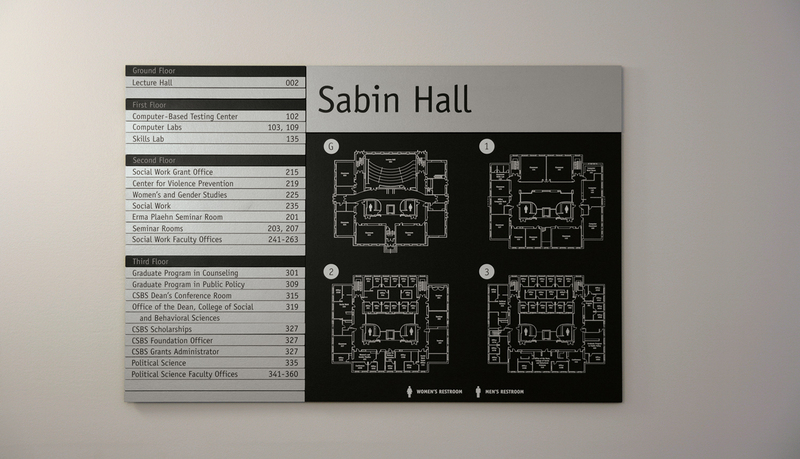 To accomplish the wayfinding needs and stay under budget, ASI used a modular building directory in the main entrance that included a building map for each floor. 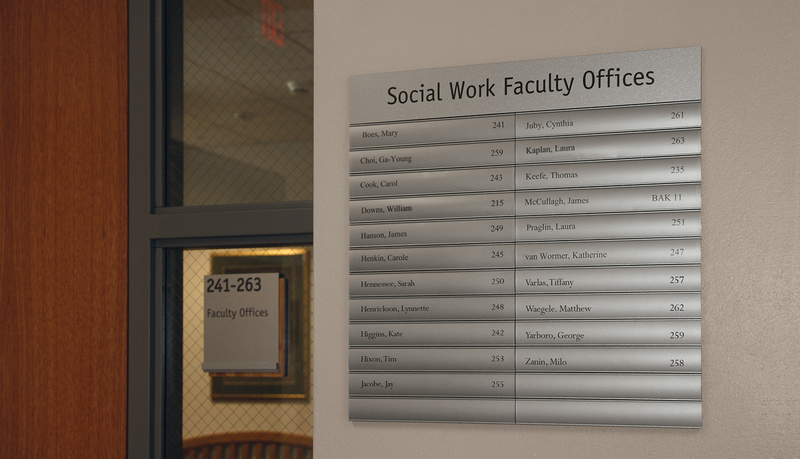 The complete wayfinding signage solution uses ASI’s Infinity™ chassis as a base and InTac™ Eco Paper material with digitally printed graphics and copy for the graphic panels. 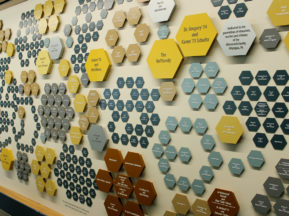 The finished solution included building directories, wall-mounted directional and elevator directories, and ADA-Ready™ signage.